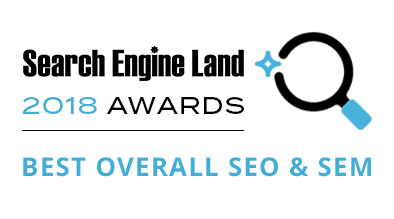 We are honored to announce that Milestone was selected as recipient of the Search Engine Land’s prestigious “Best Overall Search Marketing Initiative – SEO & SEM” at the 4th annual Search Engine Land Awards in Seattle, WA. Each year the “Landy Awards” acknowledge individuals, agencies and internal marketing teams in the digital marketing community who have demonstrated excellence in creating and executing organic and paid search marketing initiatives. The Best Overall Search Marketing Initiative recognizes exceptional integration efforts between organic search engine optimization and paid search advertising programs executed by an internal and/or external agency or consulting service. Milestone was recognized for its integrated campaign for The Don CeSar Hotel in Florida. “We are honored to have been recognized for our work in omni-channel marketing,” said Benu Aggarwal, Milestone President and Founder.